Genevieve Clay-Smith comes back with a new short movie. The filmmaker’s first film already featured a character with Down syndrome. Her work has since then always aimed at giving everyone the opportunity to be represented on screen. Ben is in an airport in Tokyo. He is following his brother, who is in the city for business. Both of them recently lost their mother. The main character, who has Down Syndrome, now depends on his sibling. They are not close, they don’t know each other. They go out together in the bustling city, the brother is too focused on his job-related conversation and Ben takes off. The loud and anonymous city becomes quieter and human. Ben meets different characters and brings in some Shakespeare’s philosophy to the strangers’ lives. 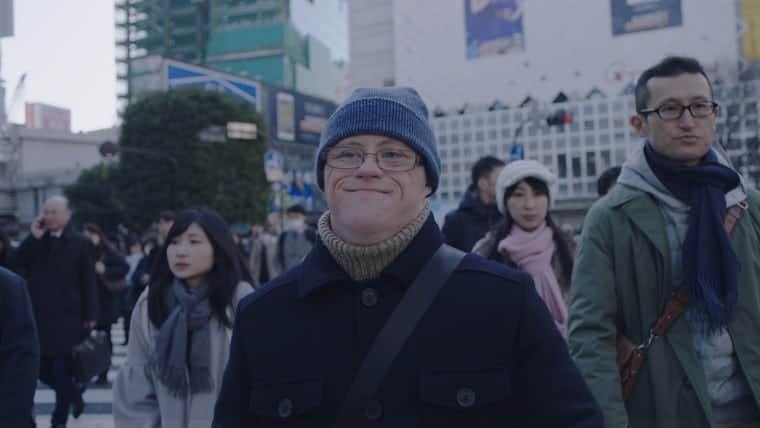 Genevieve Clay-Smith’s short challenges the expected perception of people with Down Syndrome. The audience’s point of view is Ben’s, which implies that the main identification process happens with his character. His talents for drawing and his extensive knowledge of Shakespeare are impressive. His desire to “go with the flow”, the impact he has on others (the strangers he meets, but also his brother) add up to the elements that represents Ben more like a wise man than like a slow-and-less-perceptive-mind. Moreover, it is nice to have a main character that isn’t often represented on screen. Nonetheless, and probably because it is a short movie, the director didn’t have time to develop the characters as much as she could have. Indeed, Ben lacks nuances and flaws. He is (at least in surface) perfect, understands life better than most people, doesn’t feel anger, only brings joy and wisdom around him. We could wonder if that representation isn’t actually disserving the point “Shakespeare in Tokyo” is trying to make, as it can maybe appear cliché and condescending towards people with trisomy 21. 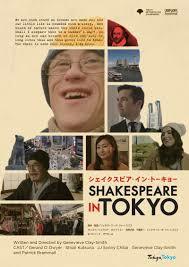 “Shakespeare in Tokyo” enjoys a fluid and coherent editing, most shots are charming. The pace acts as a mirror of the situation: pretty fast in the beginning, slower as Ben takes time to really live and to enjoy the moment. In conclusion, “Shakespeare in Tokyo” is an interesting short movie. Nonetheless, its lack of nuance in the representation of people is questionable and opens a bigger debate as to know if a right representation is possible and on how to define and find it.